"Absolutely he would fight Chisora. It's up to [promoter Eddie Hearn] to make a deal that's attractive"
Joseph Parker is seeking "the best deal" to resume his heavyweight charge - and is still open to fighting Derek Chisora. The former WBO champion from New Zealand is being touted to the world's top promoters by his representative, David Higgins, which could result in a fourth fight on British soil. "Joseph will fight anyone, if it's the right money and the right terms, so absolutely he would fight Chisora," Higgins told Sky Sports. "It's up to [promoter Eddie Hearn] to make a deal that's attractive." Asked about Parker vs Chisora negotiations, Hearn told Sky Sports last week: "There have been, and that's a fight we're planning for July." Parker defeated Hughie Fury but then lost back-to-back fights to Anthony Joshua and Dillian Whyte in Britain but is remaining open-minded about his future plans as he plots a route back to a world title. Higgins said: "It's very simple. My job is to get the best deal possible for Parker, and it's halcyon times in boxing with massive money flowing. "Basically I'm going to have a pretty frank conversation with the major players and see who will put the best deal on the table for Joseph. I'm going to have a pretty frank conversation with the major players and see who will put the best deal on the table for Joseph. "Monday in LA and then London maybe, it depends. If [promoter Bob Arum] puts an offer on the table that we cannot refuse, we might do the deal. "But, that being said, Eddie Hearn has been great to work with. Arum has been fairly good too. The only one I haven't worked with is Al Haymon, but we're basically going to have a sit down with all the major players, see who will put the best offer on the table." Parker is still just 27. He had strung 24 unbeaten fights together before losing his WBO belt to Joshua, then being floored for the first time by Whyte. Parker has since beaten Alexander Flores back in New Zealand. Derek Chisora has joined forces with Dave Coldwell as he regroups after losing to Dillian Whyte in December. Asked about fighting Chisora this summer, Higgins said: "Eddie is one of the best promoters I have worked with, so if he put in a good offer, no problem. "It could go the other way though, because I think we can attract some interest out of America at the same time. "[Parker] wants to fight in July, so I am going to have serious meetings and see who puts the best offer on the table. I'll work with any of them." 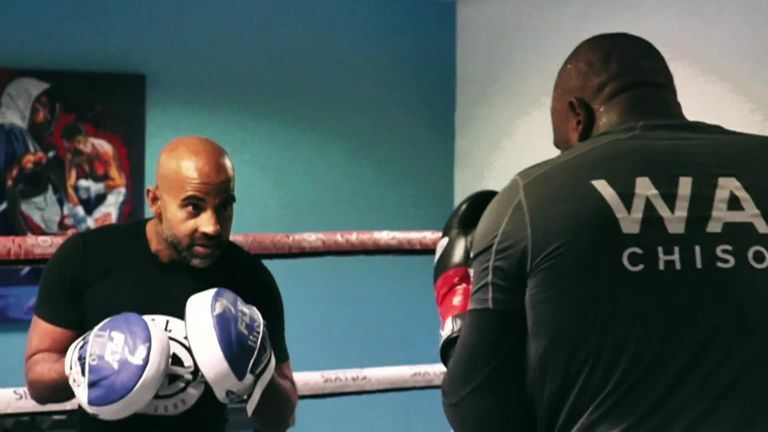 Chisora, meanwhile, will take on Senad Gashi as part of a bill that includes Dave Allen vs Lucas Browne plus Josh Kelly and Conor Benn on April 20, live on Sky Sports. "I also like the fight between Derek Chisora and the Allen-Browne winner," Hearn said. "I think that's a good fight. If Dave Allen can win that, Allen against Chisora is a great fight. "They are both in tough fights. This Senad Gashi is not going to be easy for Chisora."